Home services company Gapoon would like to have 25% of his customers on its subscription model, which will offer monthly, quarterly, half yearly and annual packages. Bengaluru: Gapoon Online Consumer Services Pvt. Ltd, a home services company, will launch a subscription model for services such as home cleaning, electricians, appliance maintenance, plumbing, pest control and carpentry from January as it aims to lock in customers, ensure steady flow of revenue and reduce customer acquisition costs. Peers such as Housejoy.in from Sarvaloka Services On Call Pvt. Ltd and Doormint from Blackcotton Solutions Pvt. Ltd have also been testing the subscription-based model in services such as laundry and fitness. There are close to 80 start-ups in the home services space in India providing electricians, plumbers, fitness trainers, photographers and even wedding planners, among other services. 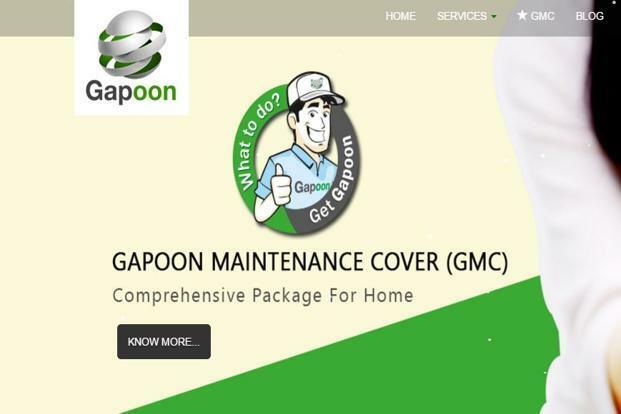 Apoorva Mishra, founder and chief executive officer of Gapoon would like to have 25% of his customers on Gapoon Maintenance Cover (GMC), its subscription model. It will offer monthly, quarterly, half yearly and annual packages. GMC Package 1, which has electricians, plumbers, home appliances, laptop repair and carpentry, will have a cover price of Rs.5,999 (for 12 months). The number of visits will be unlimited for all services except carpentry, which has a cap of 50 man hours per annum. The GMC Appliance package will have a cover price of Rs.3500 per annum which covers service and repairs for air-conditioners, refrigerators, washing machines, microwaves, water purifiers and geysers. For both packages, only spares costing above Rs.200 will be chargeable to the customer and there will be a 30-day warranty period on every service, Mishra said. The third package will be home cleaning and pest control, costing Rs.5,999-15,999 depending on the size of the property. The company says that it will continue to run its on-demand model as well. Home services companies receive hundreds to thousands of enquiries a day, but only a fraction of this converts to transaction, according to analysts. Platform operators charge a 10-30% commission from the service provider. Experts say that in many cases, customers connect directly with service providers after the first time. “The bigger advantage in a subscription model is that demand becomes predictable; this helps plan supply,” said Saran Chatterjee, CEO of Bengaluru-based Housejoy. The subscription model will also reduce spends on customer acquisition and repeated discounts. Housejoy has been experimenting with such models in laundry and fitness and is looking to extend it to all service categories. Chatterjee says this would help incentivise the customer as well as the service provider. Doormint already offers laundry subscriptions. Laundry has become one of the most sought after verticals as it is a recurring need and can be easily bracketed under the subscription model. Still, not every service lends itself to a subscription model. Urban Pro founder Rakesh Kalra says services requiring plumbers and electricians will always remain on-demand. Still, Kalra admits that the subscription model increases the lifetime value of a customer, especially if the Reserve Bank of India takes a more charitable view of auto-renewals. According to RBI guidelines, no third party merchant or payment gateway can initiate charging on a recurring basis on its own, as every transaction has to be processed individually and initiated by the user or subscriber. Though on-demand and marketplace models continue to dominate the fast-growing home services space, experts say that subscription which retains customers for longer durations of time, may well prove to be the differentiator, at least partially. In the on-demand model, the platform selects and sends a service provider to address the customer’s requirements. In a marketplace model, the customer can select a service provider of their choice. Delhi-based UrbanClap Technologies India Pvt. Ltd raised $25 million from Bessemer Venture Partners, Accel Partners and SAIF Partners in November, taking the total to over $36 million funding raised so far. Housejoy raised Rs.150 crore led by Amazon India, Vertex Ventures, Qualcomm and Ru-Net Technology partners and Matrix Partners. Others like Timesaverz Dotcom Pvt. Ltd , Housejoy.in, LocalOye (Imma Imma Web Pvt. Ltd) and Crenovative Ideas Pvt. Ltd (Taskbob.com), Zimmber (Rejuvenate Solutions Pvt Ltd) DoorMint (Blackcotton Solutions Pvt. Ltd) and UrbanPro (ThinkVidya Learning Pvt. Ltd) raised funds in 2015.